London South Bank University (LSBU) has joined a growing number of universities in the UK that are working to ensure the electronics they use are free from sweatshop labour. A total of 10 UK universities are now affiliated to Electronics Watch, an independent labour monitoring organisation that assists institutions in the public sector to support fair pay and decent working conditions for those who manufacture the goods they buy. 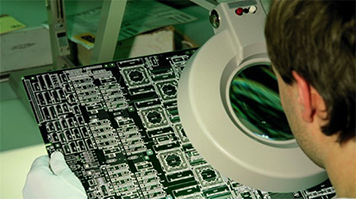 By joining Electronics Watch LSBU joins two other London universities – Kingston University and the University of Westminster – who are taking action on sweatshops in the global electronics industry. These affiliations come off the back of an increasingly active and visible student campaign: Sweatshop Free, run by student campaigning organisation People and Planet. Students at University of Oxford, University of Sheffield and University of Kent, among others, are continuing to lobby decision makers at their institutions to take action on sweatshops by affiliating to Electronics Watch. Over the last decade, a number of high profile worker rights abuses have been revealed in the electronics industry, with sweatshop conditions becoming prevalent. Since 2010, more than a dozen workers at Foxconn factories in China supplying for Apple, Dell, HP and others have committed suicide on the factory floor. Reports this year have estimated that 76 workers have died as a result of toxic chemical exposure in Samsung factories in South Korea. Since its formation in 2013, Electronics Watch has obtained 22 affiliations from public sector bodies in the UK, Switzerland, Spain, the Netherlands and the USA. Find out more about procurement at LSBU.